Veriditas has helped over 5,000 people experience the many benefits of walking the labyrinth. We have trained and continue to support over 3,000 facilitators, who work with the labyrinth in their local communities. Our facilitators can be found in 27 different countries around the world. Our five part-time staff work effectively behind the scenes to support and help grow the transformational work of Lauren and Veriditas with the labyrinth in local communities and around the world. In order to keep our programs affordable, we rely on the financial support of people like you who understand the value of the labyrinth in today’s world. Our operating budget is based on three income sources: 45% comes from program registration fees, 48% from the generosity of individual donors, 7% from product sales. 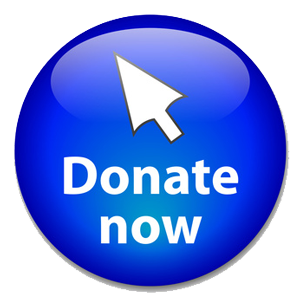 Many of our donors, by making monthly donations, are members of our Sustainers Circle. Regular monthly gifts help provide a predictable cash flow to cover expenses. This allows Veriditas to keep our attention focused on our programming, outreach, and support of those we've trained. 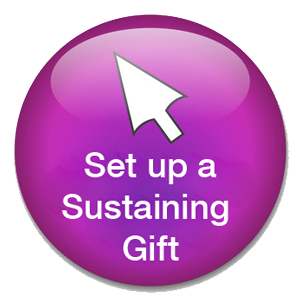 Click on the Sustaining Gift button below to set up your monthly gift. You can also call the office, 707-283-0373, and we can set it up with you over the phone. Our donors give gifts of all sizes, from $20 to $10,000 and more with everything in between. Please donate now! Help us continue to gather, train and inspire people on the path. Together we can make a difference in the world. Tell us the name of the honoree, reason for the gift (celebrating a holiday, family event, special occasion, or a passing and celebration of life), and an address for notification of your gift. Your contribution will be acknowledged with a gift card informing the family or friend you designate. You can a help ensure Veriditas’ future by including us in your estate plans with a planned gift. Below are the three simplest ways to contribute to Veriditas being able to continue offering its important transformational work well into the future. You may make a bequest to Veriditas by preparing a new will or adding a codicil to your present will. An outright bequest to Veriditas is fully tax-deductible for estate tax purposes. Unrestricted bequests allow us to use the funds wherever needed. One of the easiest ways to help Veriditas is by making us the beneficiary of your new or current life insurance. Retirement account assets, if left to anyone other than a spouse, may be subject to very high taxation. However, by designating Veriditas as recipient of any benefits remaining in your retirement plan, you may be able to effectively reduce the taxes on those assets. Please consult your legal and financial professionals when considering a planned gift. They will be able to guide you in making the wisest decisions of what’s best for you and your estate. We would love to hear about your plans if you choose to do so. Please call Rita or Dawn at the Veriditas office – 707-283-0373. Access Amazon.com through our website: we receive a portion of your purchase through the Amazon associates program - it doesn't cost you anything extra. You can also go to the Amazon Smile website and designate Veriditas as your charity of choice. Whatever you purchase is kept confidential to you and Amazon only. Do you have expertise in an area where we need a little improvement? Can you spare an hour or two to help us improve in some way - we would welcome your ideas!